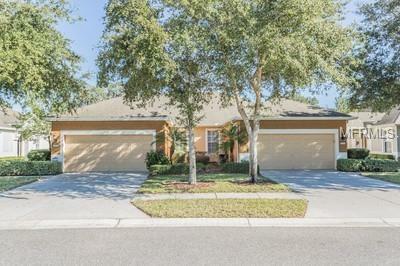 Villa in Hudson, FL is move in ready! This adorable 2 bedroom plus flex room, 2 bath, 2 car garage villa is located in popular Lakeside community. 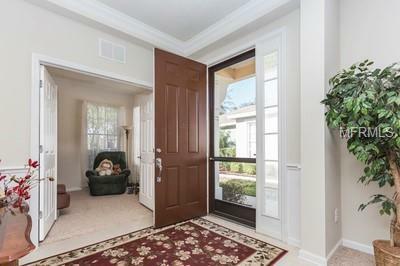 Elegant entryway greets you with head to toe crown molding, tile floors and a niche that adds character. Flex room/den/office is located up front with french doors and picturesque window. Walk into the open floor plan concept dining room, living room and kitchen areas and you will be amazed at the tall ceilings! Upgraded lighting, fans and blinds throughout. The kitchen offers additional bar height seating, well cared for counter tops and light wood cabinets. There is a breakfast area to the side perfect for conversation! Laundry room with utility sink and storage inside. 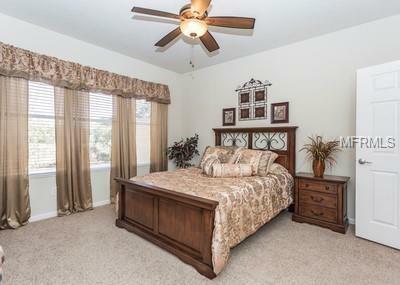 The master bedroom has total privacy and is large and spacious, the ensuite offers dual sinks, larger walk in shower, walk in closet and linen closet. 2nd bedroom is spacious with closet. Bedrooms are separate to provide privacy. 2nd bath comes with shower/tub combo. 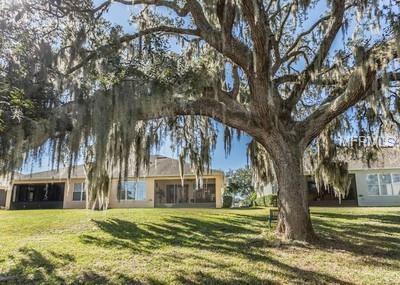 Screened in Florida room with a serene view of a SAVANNAH will make you speechless.